Please don’t be discouraged. Keep sharing. You are not alone in the endeavor. And I really appreciate your effort. I myself used to buy all the misinformation made available by the activists. I got curious enough to look into it myself and started talking to the farmers. At first I was skeptical, but I was also touched by honest and respectable farmers. I did encounter what seemed heartless and uncaring people, but they were far fewer than I thought. The more I got involved, the more I became convinced that I didn’t know what I was talking about. 7 years later, dairy farming has become my life and passion, milking for my farmer and proud to be in this industry. You are lucky to be able to graze as much as you do. Where we are, a lot of time in the year it’s too wet to graze the cows. So I do my best to treat cows with respect and appreciation. I keep sharing my experience in hope that I convince one person at a time how animal farming is done by people just like him or her, doing our best to run a business, doing the work required, stay within the law’s requirement, and most importantly do what we must do to take care of our families and the community. I am new to your blog, and wanted to say hello. I appreciate reading this side of the story. I am vegan, and have been for many years. I am not violent or angry I promise. I like to read vegan blogs, as well as ones like this. If I only ever read what I wanted to hear, I would have never became vegan.. so even now, I like to see how and why others stand by their choices, as I do mine. I really appreciate that you do all that you can for your cows, and that you don’t partake in the cruelty shown in many online videos. I still have a very hard time with how dairy cows can be happy, when babies are taken after birth. Even if it is done quietly, gently, by the book, I have a fundamental ethical problem with this. Maybe it’s because I am a mom, one who breastfeeds and understands the natural bond between mother and newborn. I just don’t believe there can be a nice way to do this. Truthfully, the real reason I am here is this.. I see many pro vegan, anti-dairy ads on social media every day. I want to share this information with people I know who are curious about why I don’t consume dairy. I don’t want to give them made up information, or information that does not apply to the milk they are drinking here in Ontario. Regulations in the US are quite different I believe, and regulations have improved over the years. 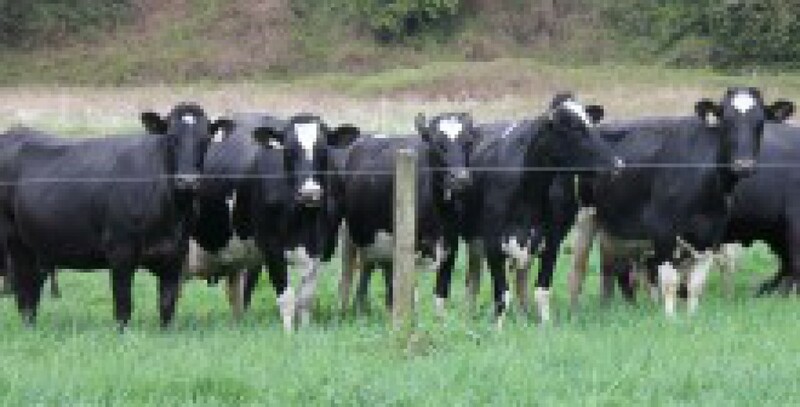 I’m looking for more detailed information on dairy farming practices here and now. So this blog is very helpful! I am looking to find out if what I have seen online, actually happens that way here in Ontario. One practice is what I mentioned above, how the calves are separated from the mother. Are they taken immediately after birth? How many calves does a typical cow have in her lifetime? Are they sent to be killed for veal? females raised to be dairy cows? Are the cows sent for slaughter when they can’t produce enough as they grow older? Is milk “bleached?” I’ll read more and hopefully find the answers 🙂 I already “think” I know the answers to these questions, but I would really like to know from an actual Canadian dairy farmer. I am just really curious because I don’t want to be misinformed either way. Thank you for opening the doors into this world! It is very hard to get honest answers from general “dairy farmers of Canada” websites, they tend to be very general and gloss over any real concerns. The second reason I am here is because my husband is not vegan. He eats eggs, and me having a fundamental issue with the egg “industry” I buy eggs from local farms where I can actually see them happily roaming around, I can have all my questions answered, instead of supporting chickens in cramped cages. I can sleep a little better at night knowing that if I must spend a dollar on an animal product, at least the chickens are “free”. I am wondering if something like this is also true for dairy farming. I believe it’s illegal to sell raw milk directly to someone who walks up to a small farm? If I must buy cow’s milk for him, is there a better way of doing it where I can cause the last amount of suffering for the animal?